WhiskyFest Chicago isn't till April 1, but this is probably a good time to buy your ticket--VIP tickets are already sold out. On offer are more than 200 single malt and blended Scotch, Irish, bourbon, Tennessee, Japanese, Welsh, and Canadian whiskeys, as well as beer, rum, tequila, and other spirits. Seminar topics will include bourbon aging, Japanese whiskey, and vintage malt whiskey. Wed 4/1, 6:30-9:30 PM, Hyatt Regency, 151 E. Wacker, 312-565-1234, $95. Ryan Clooney, head brewmaster for Emmett's Tavern and Brewery, discusses his beers, which will be paired with a four-course meal by chef Patrick Sheerin. On the menu: seared scallops paired with 1 AM Ale, braised duck cannelloni with Victory Pale Ale, and smoked salmon fillet with McCarthy Red. 6 PM, Signature Room, John Hancock Center, 875 N. Michigan, 95th floor, 312-787-9596, $95. At the Greenheart Shop's free fair-trade chocolate and wine tasting, Divine Chocolate offers samples of sweets made with cocoa beans from a fair-trade worker-owned cocoa co-op in Ghana, from white chocolate with strawberries to milk chocolate hazelnut. Fair-trade wine from South Africa will also be served. 6:30-8 PM, 746 N. LaSalle, 312-264-1625. UPDATE: The deadline for $75 early-bird tickets has been extended to Sun 3/22. Today's the last day to get $75 tickets to RampFest, April 3 from 7 to 9:30 PM at Garfield Park Conservatory--tomorrow they go up to $90 ($125 VIP). The Land Connection's fifth annual spring fund-raiser celebrates the first edible greens (ramps, or wild leeks) to appear in the area each year; chefs from restaurants including Blackbird, Naha, Prairie Grass Cafe, and Vie will create dishes with them. Garfield Park Conservatory, 300 N. Central Park, 847-570-0701, thelandconnection.org. 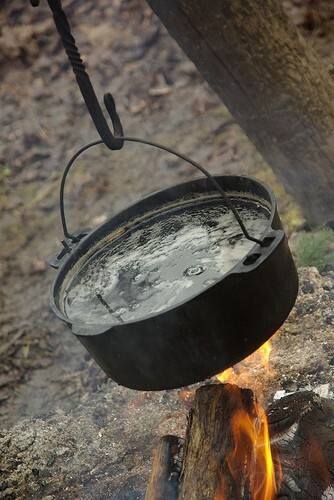 Learn how to tap a maple tree for sap, watch the sap boil, and taste fresh syrup hot off the fire at the annual Maple Syrup Festival today and tomorrow. There’ll also be music, arts and crafts, campfires, storytelling, and a farmers’ market. Sat-Sun 10 AM-3 PM, North Park Village Nature Center, 5801 N. Pulaski, 312-744-5472. New York-based chef and cookbook author Suvir Saran discusses the cultural and historical influences of spices on Indian cuisine as well as how to buy, store, and cook with spices in Passage to India. The lecture will be followed by a ChicaGourmets luncheon at noon that includes wine and dishes like palak pakori, chole, dum aloo, and baigan kaa bhartaa. 10 AM, Ranjana Bhargava Cooking School, 6730 S. Euclid, 708-788-0338 (lecture only) or 708-383-7543, indiancookingclass.com, $39 (lecture only, $5). Dozens of stouts and porters from local breweries are on offer at Stoutfest 2009. Proceeds benefit the Illinois Craft Brewers Guild. 1-5 PM, Goose Island Brew Pub, 1800 N. Clybourn, 312-915-0071, $30 (includes 30 tasting tickets). City Provisions Catering hosts a five-course dinner "showing our love for breakfast foods," with bread and crackers from Nicole's Divine Bake Shop and cocktails from North Shore Distillery; the owners of both companies will be on hand to discuss their products. 7 PM, City Provisions, 1820 W. Wilson, 773-293-2489, $60.